Berries and Bread Juicy crimson berries and chunks of sweet brioche make a refreshing variation on the traditional summer pudding. Served with a spoonful of hot toddy cream, this makes the perfect end to your Burns' Night supper. Hot Toddy Cream This cream should have just a hint of sweetness and alcohol to complement the fruity flavour of the berries and bread. Empty a 500g bag Shearway Frozen Black Forest Fruits and a 250g box Shearway Frozen Raspberries into a small roasting tin. 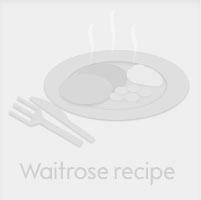 Add 4 tbsp redcurrant jelly and 1 x 330ml bottle Waitrose Apple, Cranberry & Blueberry Juice Drink. Place the tin in the oven while it is preheating for the haggis. Leave for about 15 minutes so the fruit defrosts and the jelly melts. Stir the fruits together and taste for sweetness. Add 2-3 tbsp caster sugar according to taste. Cut ½ x 400g Butter Brioche Loaf into thick slices (the remainder can be frozen), then cut the slices into large, bite-sized pieces. Using a slotted spoon, layer the fruit and the brioche into individual glass dishes and then spoon the juice from the fruit over the brioche. Put a small plate on top, press down lightly and place a weight on top. Refrigerate until ready to serve. Pour it into a warmed jug and hand round separately. Pour 1 x 568ml carton single cream into a small pan, add 2 tbsp clear honey and 2 tsp whisky or Drambuie. Heat very gently for 1-2 minutes just before serving. This recipe was first published in January 2002.